Read the full article on the SC Commerce Magazine website. 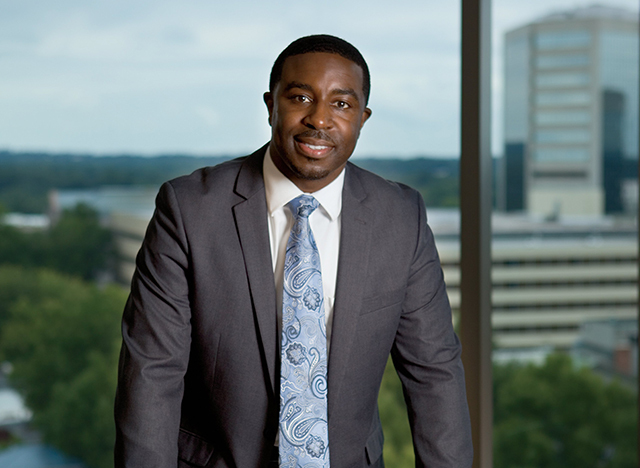 When looking for a place to locate his budding business, Milwaukee, Wis., native James Jordon considered several Southeastern hot spots including the Raleigh-Durham area, Charlotte and Atlanta. Jordon chose Greenville because he saw the city’s quality of life, growth potential and opportunities as a fit for him, his family and his business. “For me, it stared [Greenville] City Hall and then led to the state building,” says Jordon, whose JCC General Contractors specializes in commercial interior renovations. The South Caroline Department of Commerce is committed to helping small business like Jordon’s grow, from hosting networking events and making startups aware of funding to providing business consultations for entrepreneurs. The department’s Buy South Carolina program helps small businesses find new customers by connecting larger companies to in-state vendors and suppliers.